One of an unfinished series of watercolour paintings dealing with the subject of moods and states of the mind. The tortoise shell shows human crossed arms. 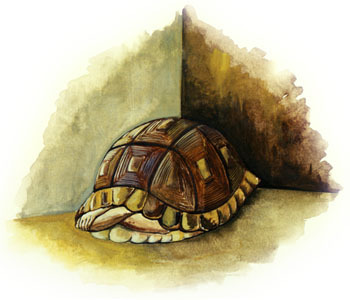 He is withdrawn into a corner and seeking escape and safety from the outside world in a state of hibernation.